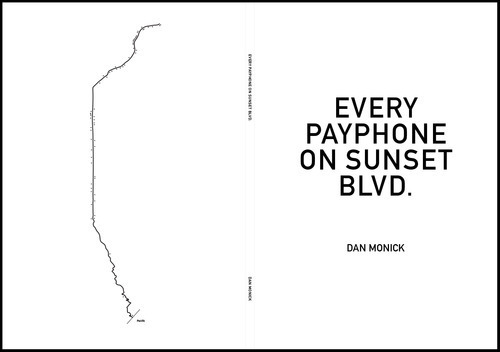 Inspired by Ed Ruscha’s “Every building on the Sunset Strip”, photographer Dan Monick recently came out with a limited edition (500 copies only) book that simply is… every payphone on Sunset Blvd, from From East LA to Malibu. After stopping by his place for some afternoon coffee, Dan laid the book out on the table in front of me. 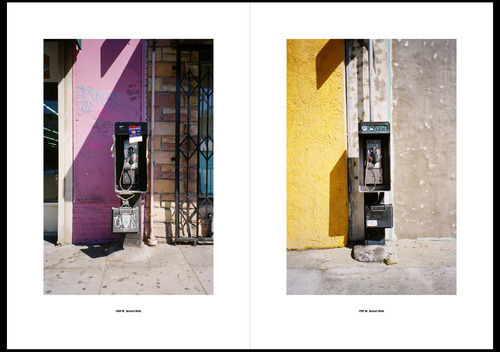 It was so simple, but really kind of heavy when you sit with these photographs for a minute. 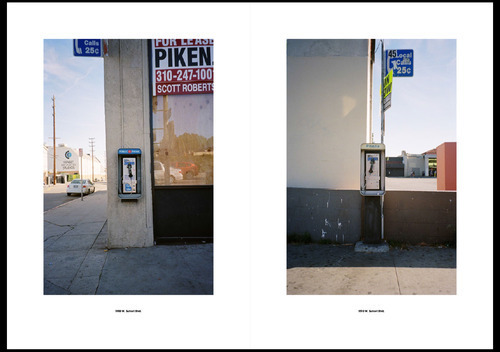 Think about all the stories payphones could tell if they talked. 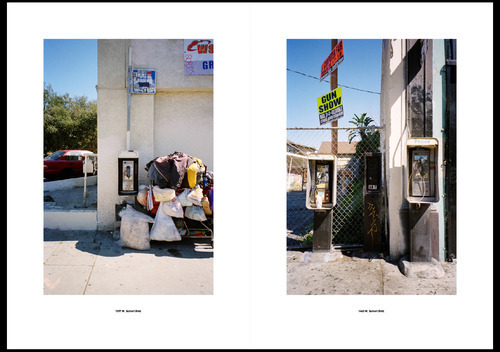 As Dan says, fading monuments to the way we used to communicate and exist without being constantly in touch. 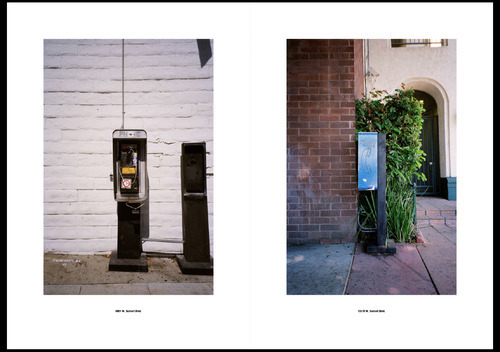 “Every payphone on Sunset Blvd” series is also featured in the new book Milk and Honey – Contemporary Art in California which highlights new contemporary work by showcasing emerging artists alongside established icons who all call California home. This book will stay in my collection forever. Pick it up while you can – available at our store HERE.